Whether you are a delegate, a visitor or an envoy, you are definitely going to love the workshops planned for the upcoming Spring Agora Bergamo! They are new, they are fresh and interactive, aimed for new members coming as visitors, some of them being for the first time at an Agora, eager to learn valuable things, AEGEE related or not, from trainers and members with experience. Three of them will briefly be presented in this article and are the following: “Be water, my friend!”, “I was killed by PowerPoint” and last, but not least, “Peace it Up!”. Read more to find out about each one of them and don’t forget to join one during Agora Bergamo! See you there! 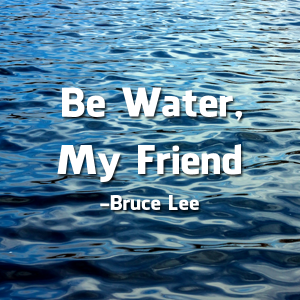 Workshop I-A: Be water, my friend! 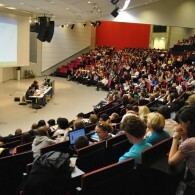 Held by the Speaker and Vice-Speaker of the Public Relations Committee (PRC), Gerardo Garcia Diaz (AEG EE-Oviedo) and former Comité Directeur (CD) member, Mayri Tiido (AEGEE-Tallin), the workshop will take place on Thursday, 19th May at 12:45 and will end at 14:15. This workshop encourages you to refresh yourself and teaches you how to adapt to different situations, to be like water, as the name suggests, through improvisation theater and role-playing. Although this workshop will be a lot of fun, a decent level of English is required, so if you are having trouble with that, start revising! As the name suggests, we are all sick and tired of PowerPoint presentations and dull speeches. 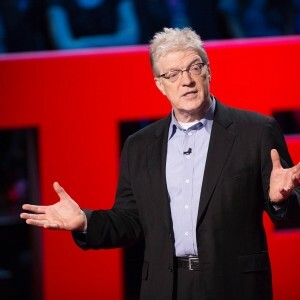 The means used to spread education & knowledge have changed a lot, the best example for that being TEDx, with events taking place all over, featuring worldwide known trainers, experts and great leaders that inspire us with their speech and stage act. Why shouldn’t you try to be like them? Through tips and tricks presented during this workshop, you will learn how to keep the participant’s attention, leave them speechless and falling in love with your presentation. The workshop will be held by Academy trainer, Ana Potocnik (AEGEE-Ljubljana) and will take place on Thursday, 19th May between 12:45 and 14:15. Workshop I-C: Peace it Up! proj ect has resulted in an interactive and meaningful workshop called “Peace it Up!”, which will offer you this great opportunity to come, share and support your thoughts and feelings about the current situation. 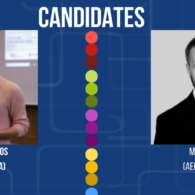 It will be held by Noemi Lowy (AEGEE-Debrecen) on behalf of the “Democracy in Practice” project and Adonis Meggos (AEGEE-Peiraias) from the “Your Vision for EUrope” project and it will take place on Thursday, 19th May from 12:45 until 14:15. For more information you can download the Agora Agenda and the Workshops and Progress Meetings booklet. 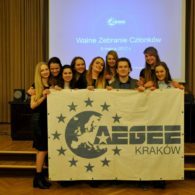 Spring Agora 2018 goes to... AEGEE- Kraków!